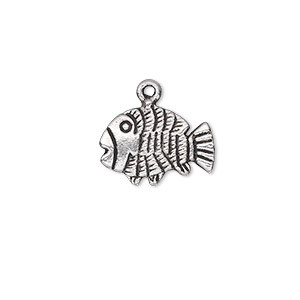 Charm, antiqued sterling silver, 9x4.5mm single-sided fish. Sold per pkg of 4. 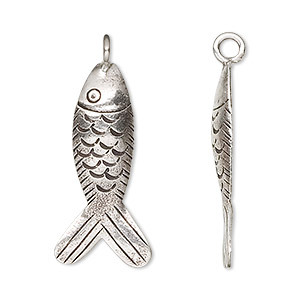 Two-sided sterling silver fish charm with fashionable antiqued finish to liven up jewelry designs with personality and elegance. 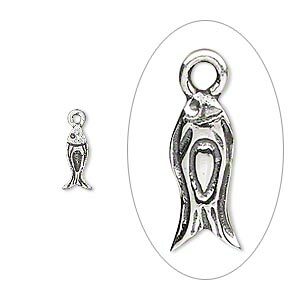 Charm, sterling silver, 20x12mm fish. Sold individually. 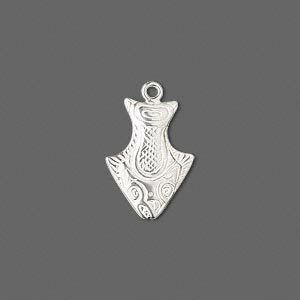 Charm, Hill Tribes, antiqued fine silver, 30x14mm fish. Sold individually. 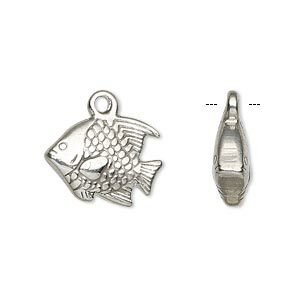 Charm, antique silver-plated "pewter" (zinc-based alloy), 17x13mm double-sided fish. Sold per pkg of 20. 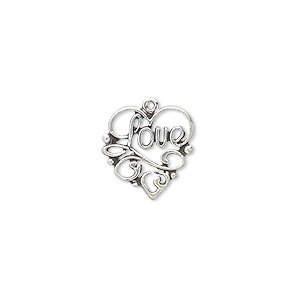 Charm, antiqued sterling silver, 14x13mm single-sided heart with "Love." Sold individually. 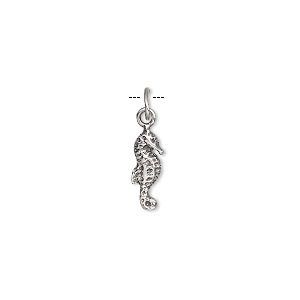 Charm, antiqued sterling silver, 12x5mm seahorse. Sold per pkg of 4. 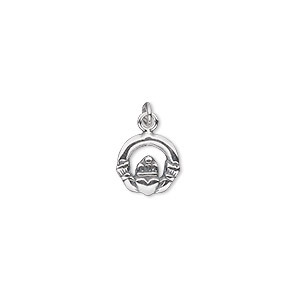 Charm, antiqued sterling silver, 10mm single-sided small Claddagh. Sold per pkg of 2. 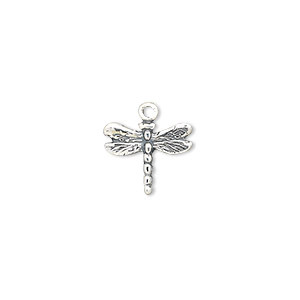 Charm, antiqued sterling silver, 13x11mm single-sided dragonfly. Sold individually. 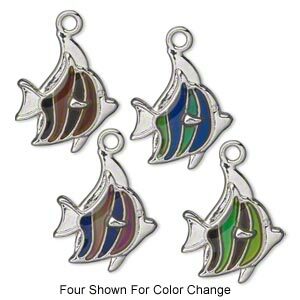 Charm, stainless steel, 18x13mm double-sided fish, Sold per pkg of 2. 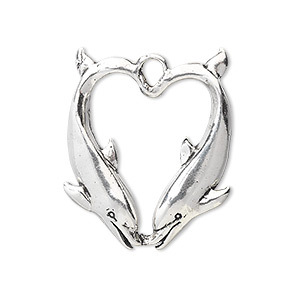 Charm, sterling silver, 25x22mm single-sided double-dolphins. Sold individually.